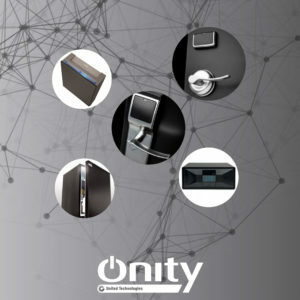 KCC Architectural are proud partners of Onity the leader in electronic locking systems. Onity have been the world’s leading manufacturer of electronic locks for hospitality, retail, education, corporate, government and marine sectors for decades. Through the years, as technologies have become intertwined, they have expanded their services and solutions and have developed into much more than just a lock maker. Today, they are a leading provider of a host of facility management technologies from electronic locks, to in‑room safes, minibars, energy management and wearable systems. They are recognized worldwide for our powerful combination of innovative thinking and intelligent systems. With an install base of 4 million locks in 22,000 properties across 115 countries you can rest assured that you are getting a robust and reliable solution for your property backed up by 24/7 engineering support. In Ireland Onity are the electronic locking system of choice for hotel and accommodation facilities. KCC Architectural supply, install and maintain Onity electronic locking systems with an install base of over 500+ hotels and student accommodation properties around the island of Ireland.